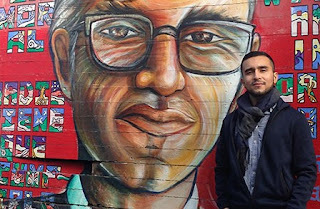 A poem today by Javier Zamora, whose poems about immigration, refugees, and exiles hit a nerve like few others! This poem is from the Nov 2016 issue of Poetry magazine. You can also listen to a podcast where the magazine's editors discuss the poem. 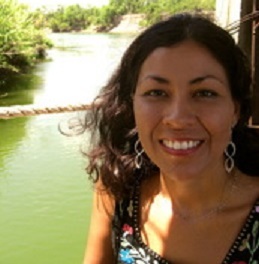 Zamora's honors include a National Endowment for the Arts fellowship, an Olive B. O’Connor Fellowship in Creative Writing at Colgate University, a CantoMundo fellowship, scholarships to the Bread Loaf Writers’ Conference and Napa Valley Writers’ Conference, a 2016 Barnes and Noble Writer for Writer’s Award, and a Meridian Editors’ Prize. He was also a recipient of a Ruth Lilly and Dorothy Sargent Rosenberg Poetry Fellowship from the Poetry Foundation and a Lannan Foundation fellowship.